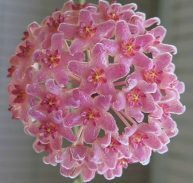 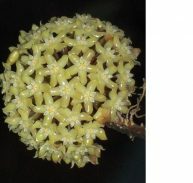 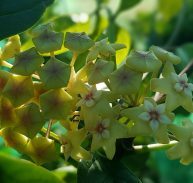 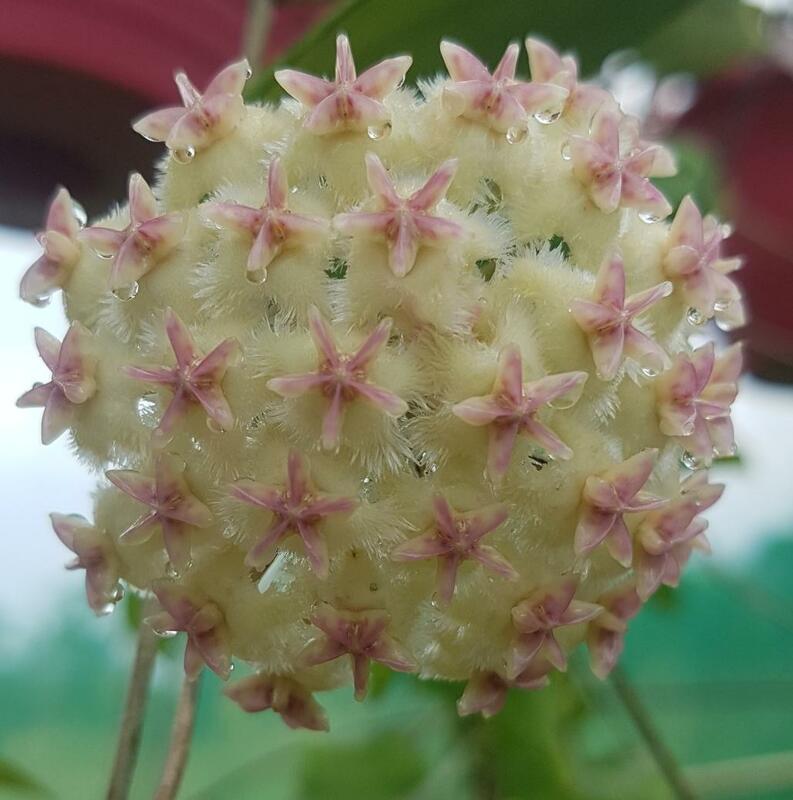 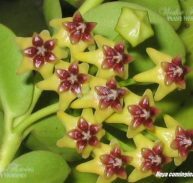 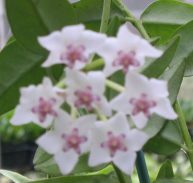 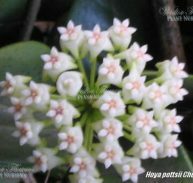 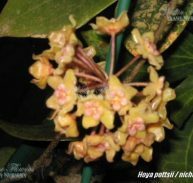 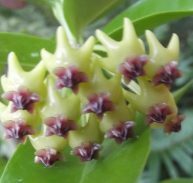 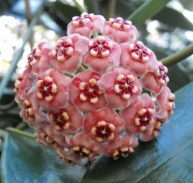 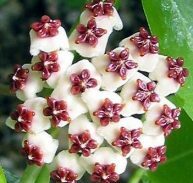 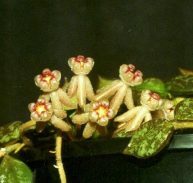 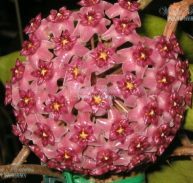 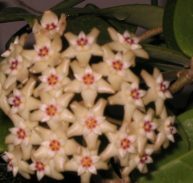 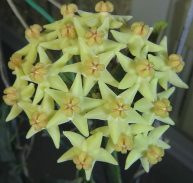 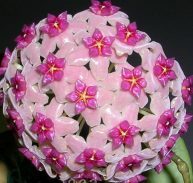 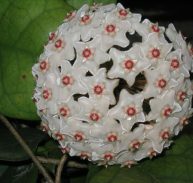 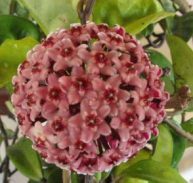 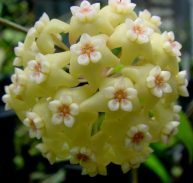 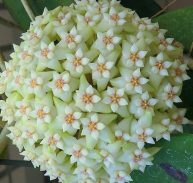 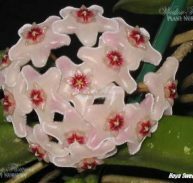 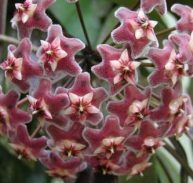 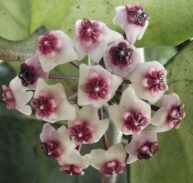 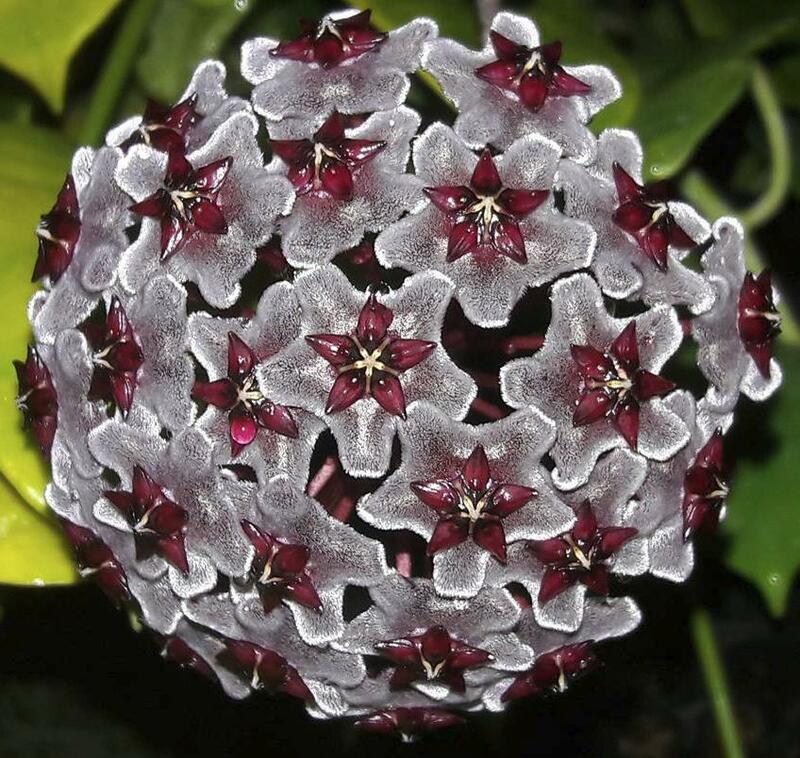 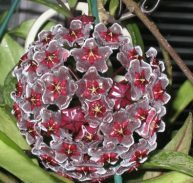 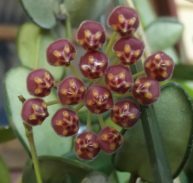 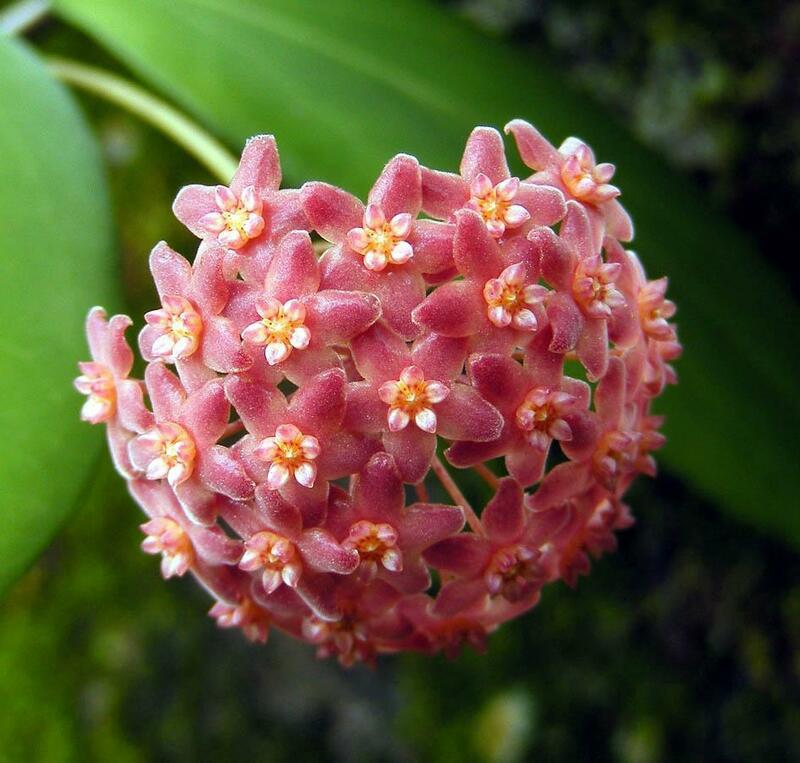 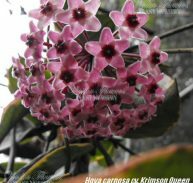 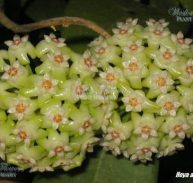 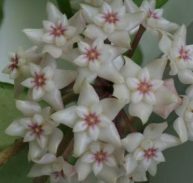 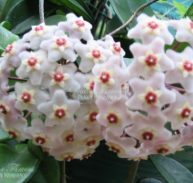 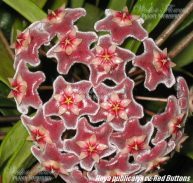 Hoya erythrostemma is a member of the Asclepiadaceae family and is native to Indonesia, Malaysia and Thailand. 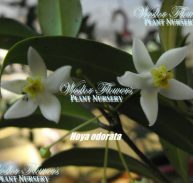 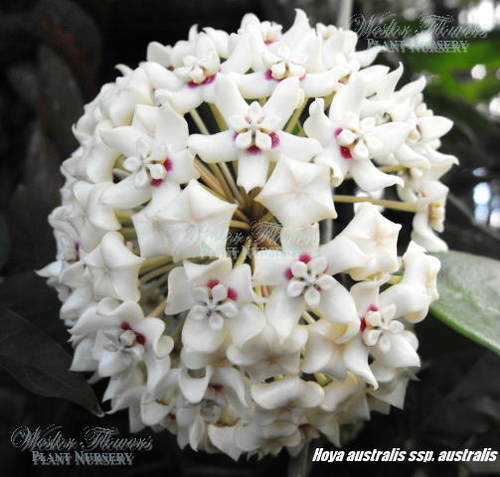 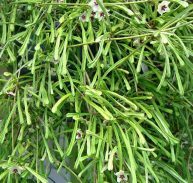 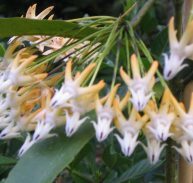 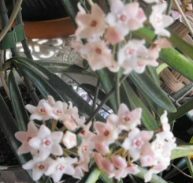 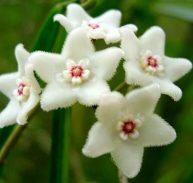 It has beautiful flowers that are mainly white with a white fluffy hairs and a red corona and has a mild fragrance. 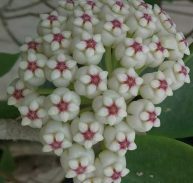 There are around 30 flowers in each umbel.